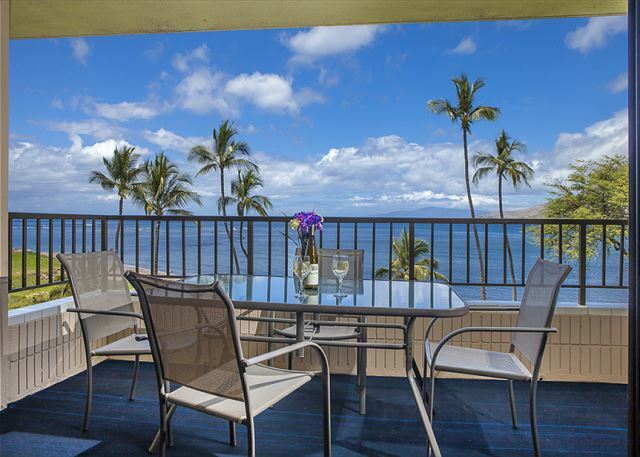 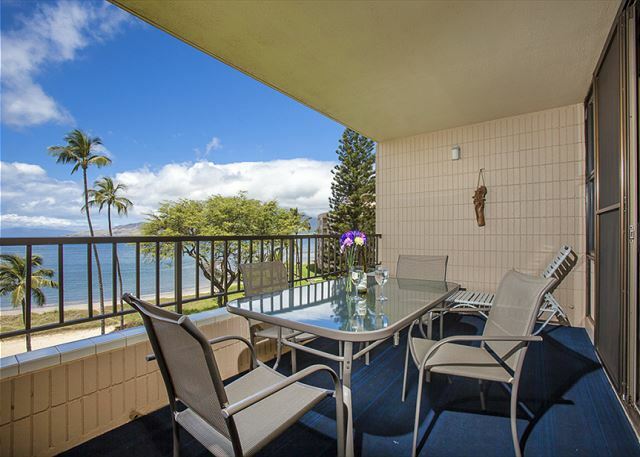 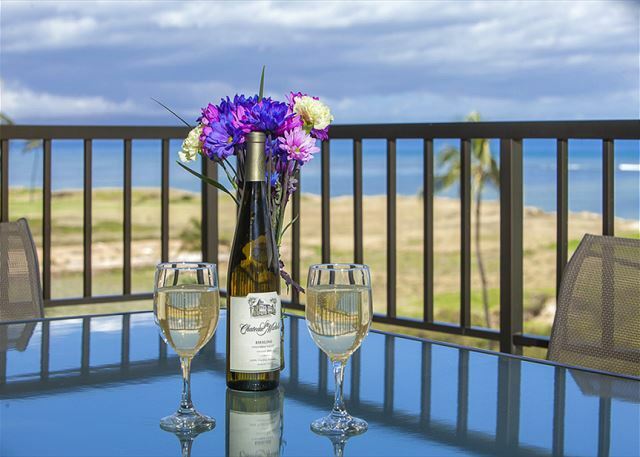 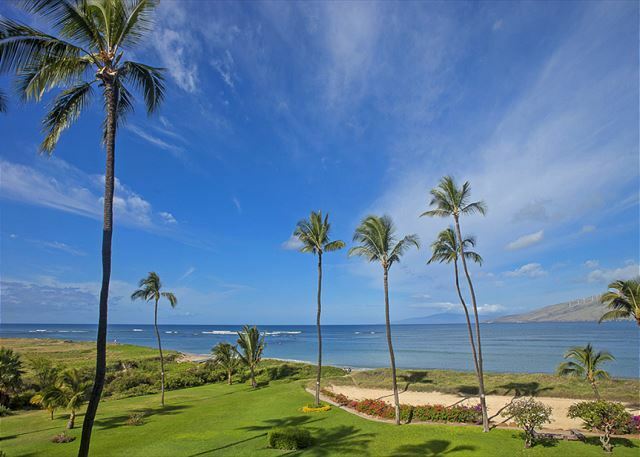 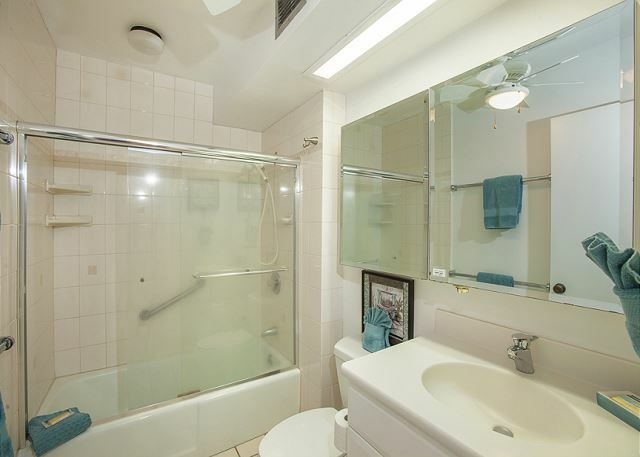 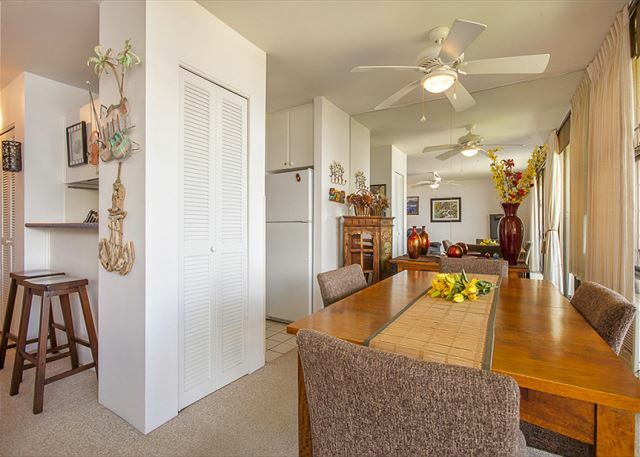 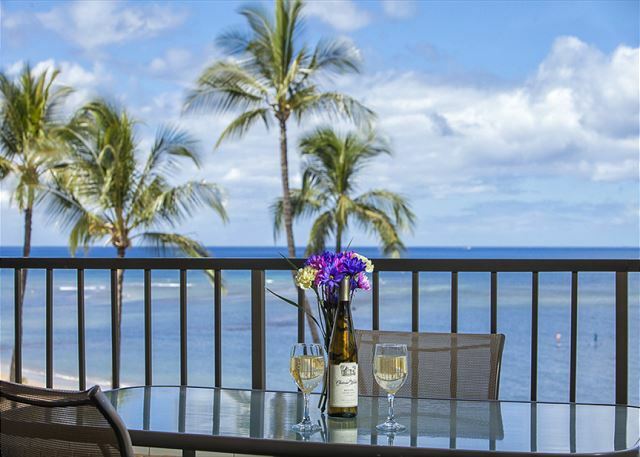 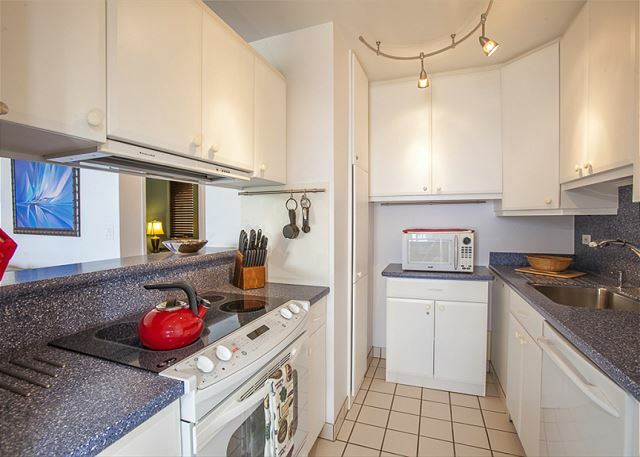 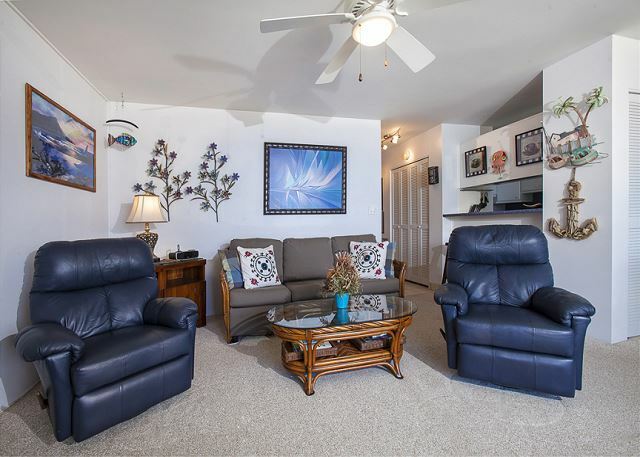 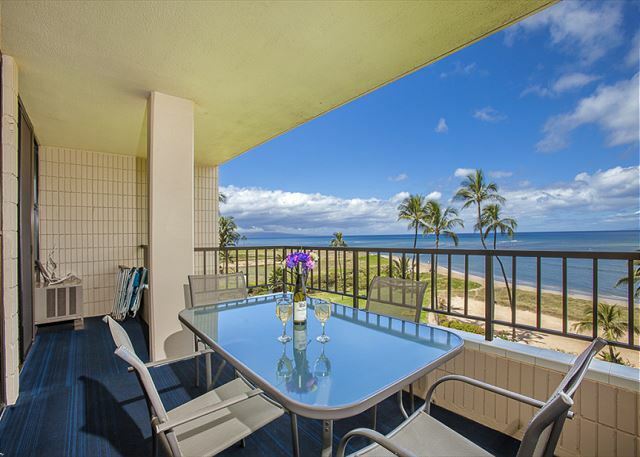 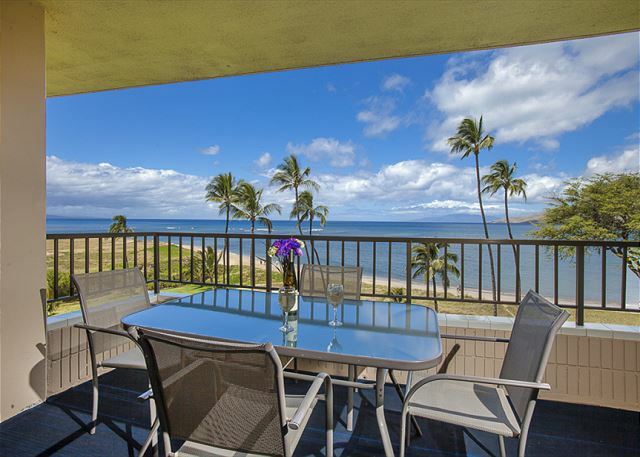 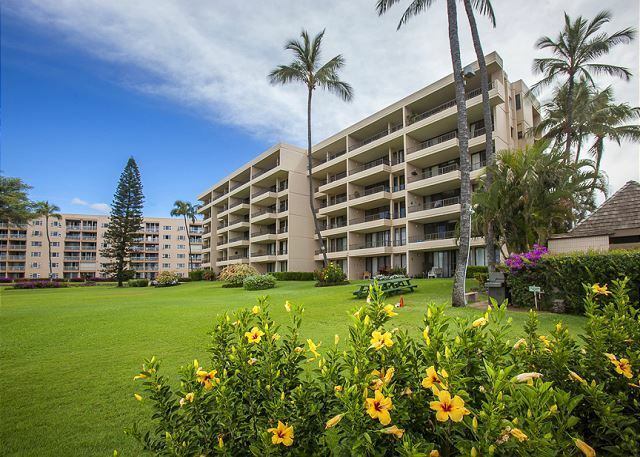 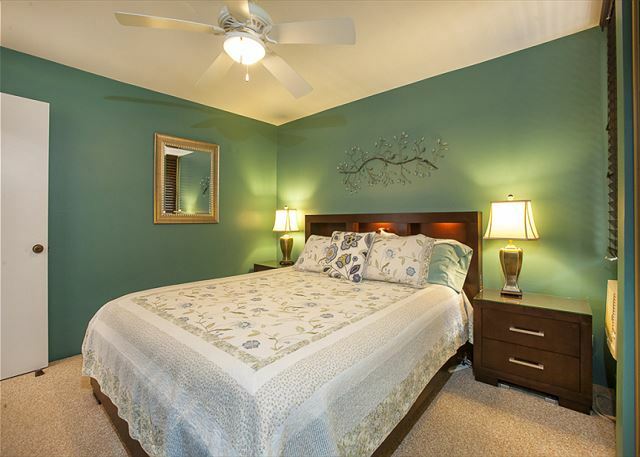 The Koa Lagoon is an ocean front condominium complex in North Kihei with spectacular panoramic views of the Pacific ocean and Mauna Kahalawai, also known as the West Maui Mountains. 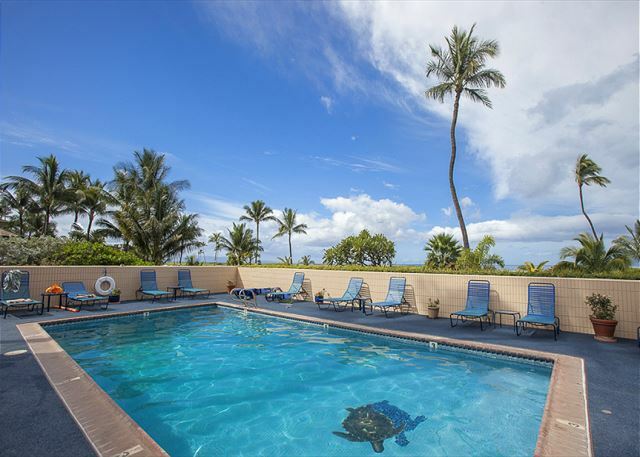 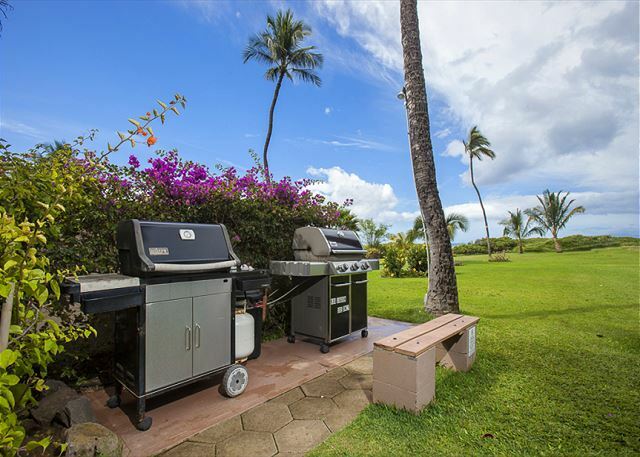 Situated just 15 minutes from Kahului Airport on Sugar Beach, Koa Lagoon has 42 units on six floors, a heated swimming pool, and gas barbecue grills. 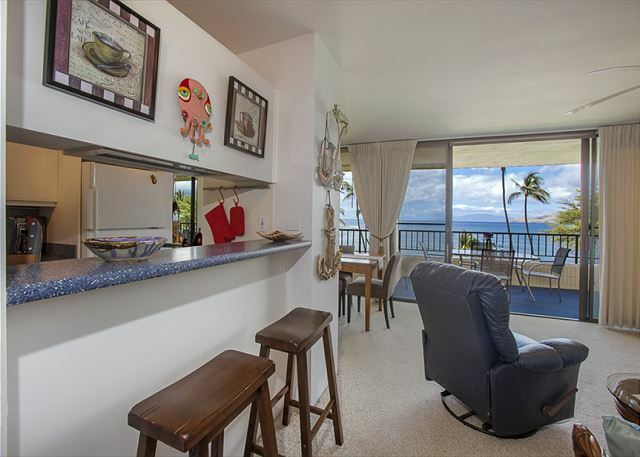 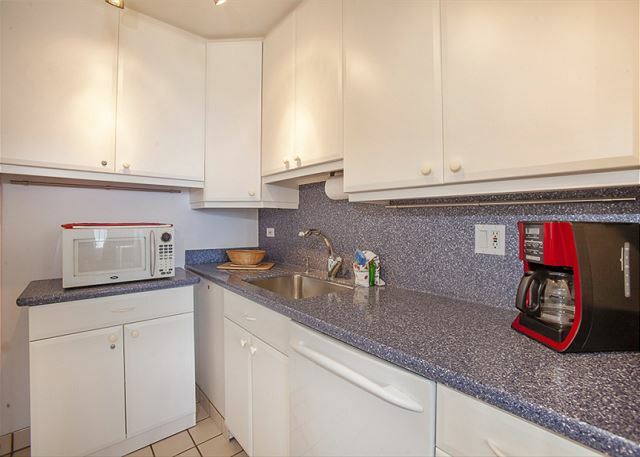 Unit #505 is a 5th floor ocean view 1 bd 1 bath unit with a full kitchen, washer/dryer, and air conditioning room units in the living room and bedroom. 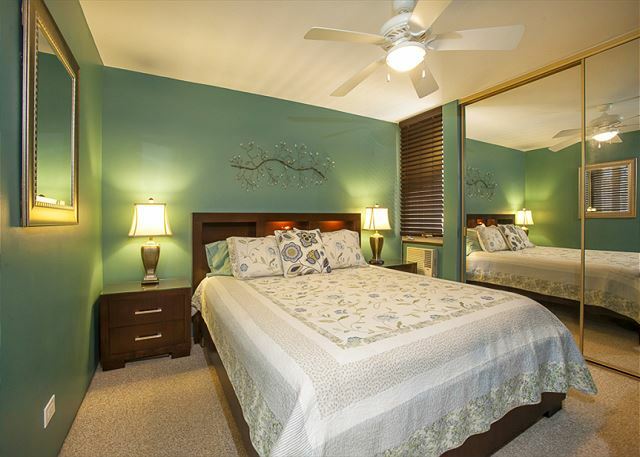 There is a California king bed in the bedroom and 2 recliners in the living room. 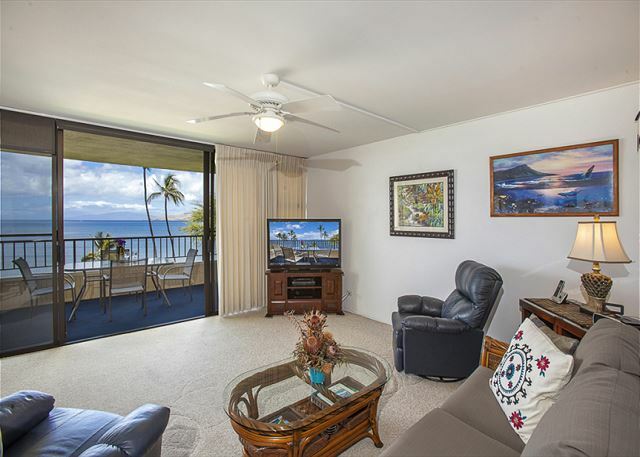 Entertainment: upgraded from basic cable to High Def digital signal with Digital Variety Pak, HD Entertainment Pak, Music Choice, Interactive Program Guide, Showtime Premium Channels. 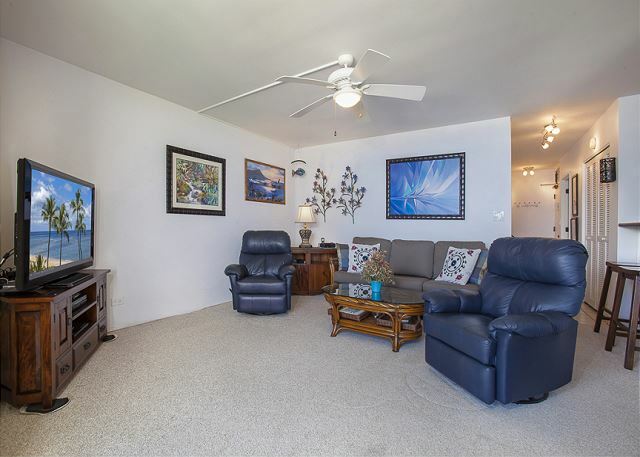 (220 channels total plus the Showtime Premium) Turbo speed (20Mbps) wireless internet, as well as the Digital phone with unlimited nationwide, Canada and Mexico.